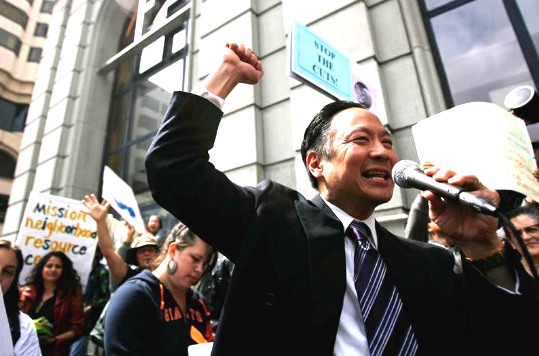 SAN FRANCISCO — The documentary “Presumed Guilty,” featuring the late Public Defender Jeff Adachi, will be screened on Wednesday, April 3, at 6:30 p.m. at the Roxie Theater, 3117 16th St. in San Francisco. In honor of Adachi and his decades of public service to the community, all proceeds will benefit the Jeff Adachi Legacy Fund. Required viewing for all new hires to the San Francisco Public Defender’s Office, Pamela Yates’ vivid documentary chronicles the trench warfare in jails, holding cells, courtrooms and the police stations of San Francisco. ‘Presumed Guilty: Tales of the Public Defenders’ is an emotionally enthralling cinematic tribute to the team led by Jeff Adachi, a dearly departed civic hero and an irrepressible crusader for the rights of the poor,” event organizers said. Public defenders and other guests will speak after the screening. For more information, visit www.roxie.com.